The Star-Powered PM Serum contains retinol, treating your beautiful skin with a powerful, proven technology that reduces the depth of wrinkles instantaneously, while stimulating collagen production, neutralizing free radicals and delivering essential hydration. While you sleep, this potent blend has a dramatic and visible firming, nourishing effect*. 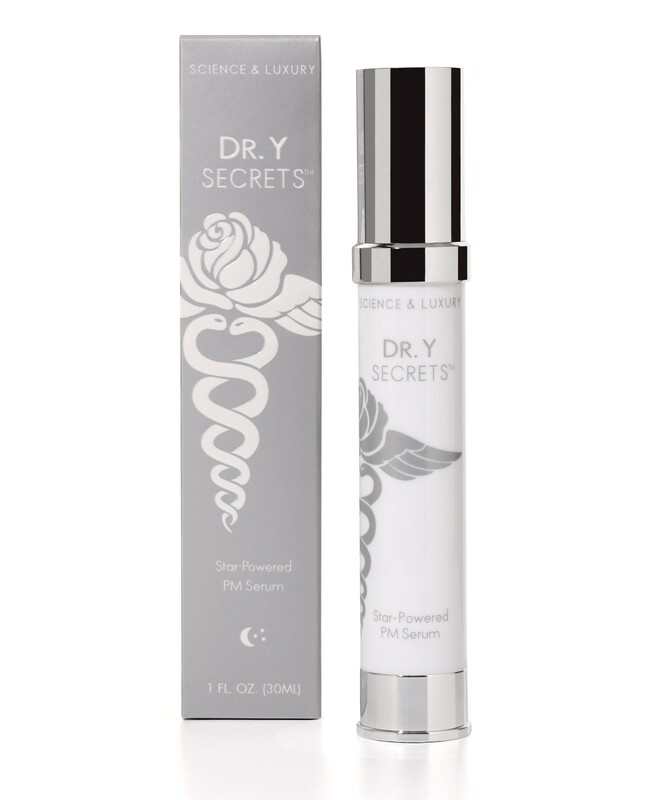 Your skin glows, with a smoother, more youthful appearance. Wake up every morning to a brand new day—and a brand new you. *If mild redness occurs, stop using the Star-Powered PM Serum, using the Essential Moisturizer until the irritation subsides. Imagine yourself in an enchanting garden full of blooming roses. Light a candle. Breathe. You are ready for a rejuvenating sleep. Put a small dab of The Star-Powered PM Serum on your fingertips and move the luxurious, fragrant formula over your face and throat. (Seduction by roses? We think so.) Acknowledge all the things for which you are grateful. Revel in the magical transformation, every night. Water, Glycerin, Butylene Glycol, Dimethicone, Acetyl Glucosamine, Octyldodecyl Myristate, Isostearyl Alcohol, Butylene Glycol Cocoate, Ethylcellulose, Acrylates/Acrylamide Copolymer, Mineral Oil, Polysorbate 85, Dimethiconol, Phenoxyethanol, Ethylhexylglycerin, Panthenol, Allyl Methacrylates Crosspolymer, Retinol, Polysorbate 20, Dipotassium Glycyrrhizate, Allantoin, Tocopheryl Acetate, Tetrahexyldecyl Ascorbate, Triethanolamine, Acrylates/C10-30 Alkyl Acrylate Crosspolymer, Disodium EDTA, Fragrance, Sodium Hyaluronate, Carbomer, Palmitoyl Oligopeptide, Palmitoyl Tetrapeptide-7, Prunus Cerasus (Bitter Cherry) Juice, Rosa Damascena Flower Water.